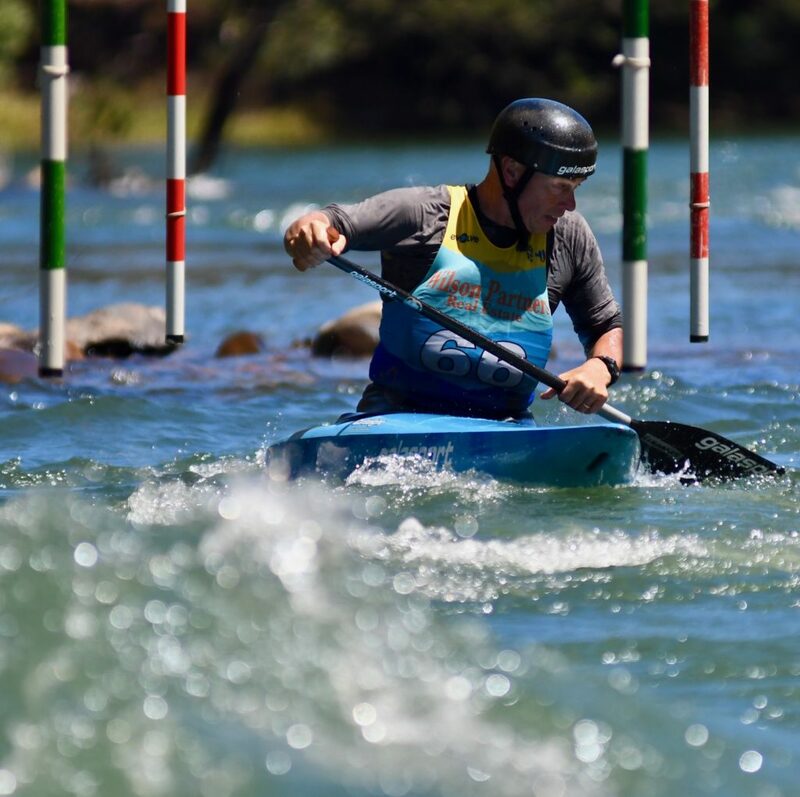 The first day of racing at the 2019 Canoe Slalom Junior and Masters Nationals saw an exciting and full day of competition on the Goulburn River at Eildon with two runs completed across all events on Saturday, 19 January 2019. 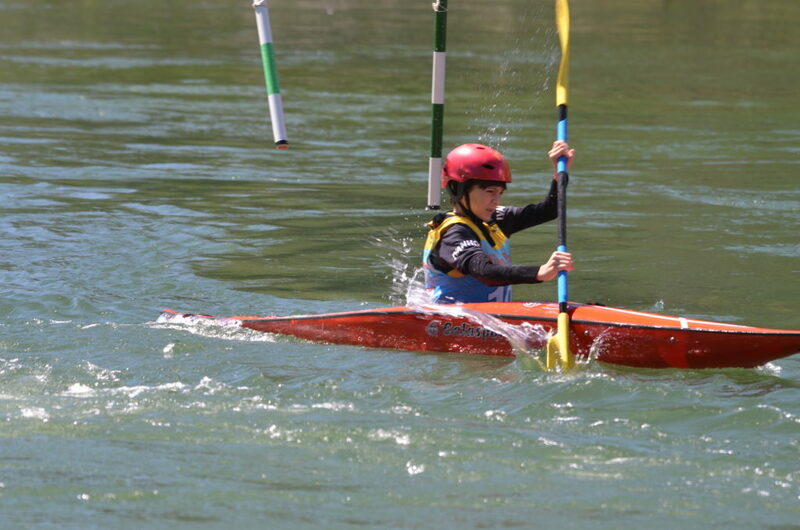 Over 120 athletes of all age groups from under ten years of age to over 65 took on the series of rapids on the Goulburn River at Eildon, showcasing canoe slalom at its best and as a sport of all age groups bringing together the youngest and some of the oldest paddlers in the sport. 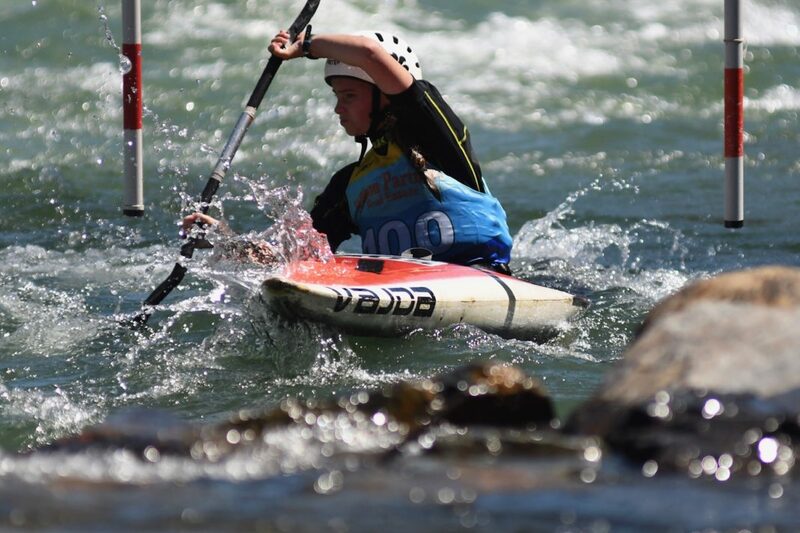 In the best of two qualification races, the Junior and Masters Age Group Championships, were decided with Junior paddlers also out to qualify for Sunday’s A and B finals. 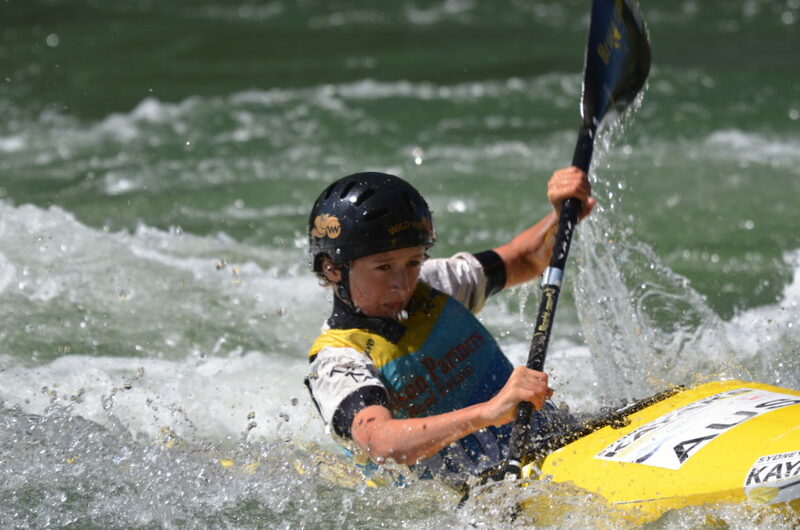 In the Age Group Championships, it was the younger under 16-years of age paddlers, who impressed with Western Australian and 2018 youngest Junior Team paddler Jack Choate winning not only the under-16 age group, but also the “best of two” ranking in both the men’s K1 and C1. In the men’s C1, Jack Choate posted a second and first to finish ahead of fellow under-16 paddler Ben Ross (VIC) and ahead of Daniel Shamieh (VIC) in third, who won the under-18 age group. Robert Janiszewski was the highest ranked over 18 paddler. Archie Gill (NSW) took out the under-14 age group . In the C1 Masters Brian Cork won the Veteran group (45-54), while the Vintage category (55+) was won by Tasmania’s Peter Eckardt. The race also saw the comeback of former national team slalom paddler Warwick Smith (WA), who got back into the boat for the nationals after 26-years of absence from paddling. “The last time I paddled in a slalom boat before this week was in 1993 and this has been a great weekend. It’s great to come back and see the sport. I haven’t paddled for two and half decades and it’s great to see the kids out there. I paddled for Australia in the slalom at the Canoe Slalom World championships 1979 in Canada in the C1 and also at the world championships in 1983,” Smith said about his return to the sport he loves and was quite successful in. “The event has been fantastic from very young paddlers up to paddlers in their 70s. I think paddling is a wonderful sport for health and a sport for a lifetime. In the K1, a first and seventh was enough for Jack Choate to top the rankings ahead of Josh Montalto (VIC), who won the under-18 age group. Robert Janiszewski (VIC) won the over 18 category. Archie Gill took out the under-14 age group, while Hunter Florisson won the U13 and James Stamp(VIC) the under-12 group. In the masters Anton King (VIC), Andrew Farrance and Chris Runting took out the three age groups of masters (35-44 years), veteran (45-54 years) and vintage (55+) respectively with King impressing with a sixth place overall. Illawara “old people” paddler Gary Nelson, who finished 38th overall and has only missed a couple of championships since he started paddling at the age of 15 in the early 1970s, praised the event and the format of having juniors and masters competing together. 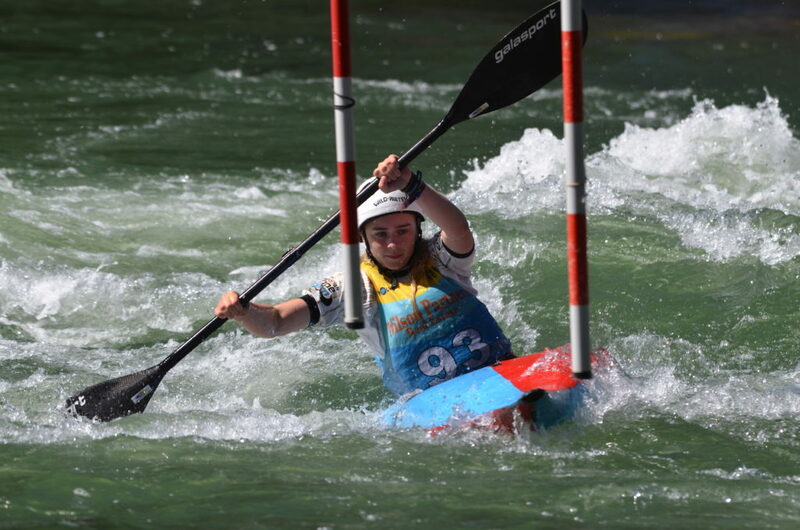 In the women’s C1 it was once again the youngest paddlers, who left a mark with under-16 paddler Sophie Wilson (NSW) the fastest overall women’s C1 paddler and winning her age group. Claire Hodgman (TAS) finished overall second, taking out the win in the under-18 age group, while Sarah Crosbee (VIC) won the under-14 group. “I was pretty happy with the day and I had some good runs and tried to go a bit harder. My goal was to go to the National Development Squad camp next week and I will, which should be good. My bigger goal is to compete and travel overseas and hopefully make the team,” under-18 age group winner Claire Hodgman said after the event, which was part of the selection series to decide invites for next week’s National Development Squad (NDS) training camp in Penrith. Also in the women’s K1, the fastest paddler was an under-16 athlete with Georgia O’Callaghan (VIC) also winning the age group. Claire Tonkin (VIC) followed behind O’Callaghan to win the under-18 age group, while Callie Ellis won the under-14 age group. Fastest under-13 paddler was once again Sarah Crosbee, while Jasmine Muir topped the under-12 and Ella Shepherd (VIC) the under-10 age group. 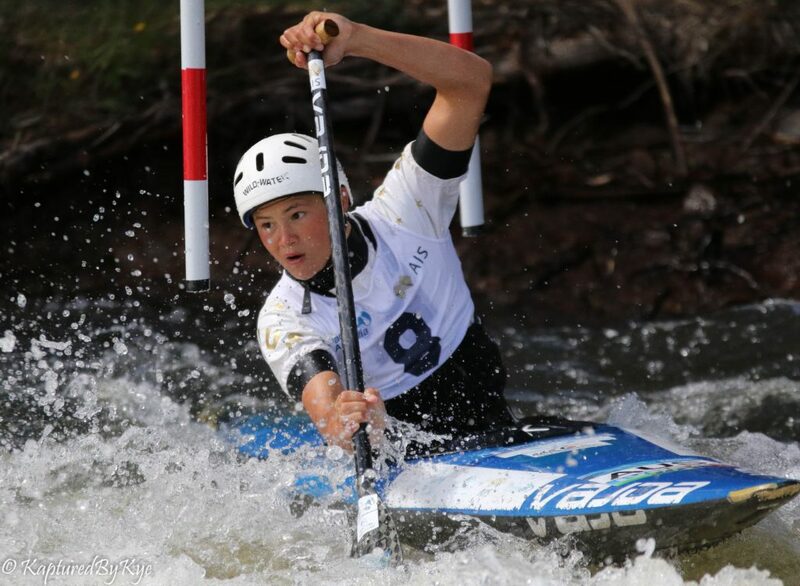 Over 18 paddler Zoe Lau (VIC) topped the overall ranking after two runs, while overall second placed Dita Pahl won the masters. “It’s been a really good weekend. I had lots of fun and I paddled well for some of my races. My goal was to get invited to the National Development Squad camp and I paddled as best as I can and I’m pretty happy with that,” Georgia O’Callaghan said at the end of the event. It was also a good weekend for Claire Tonkin, who enjoyed the weekend racing while mainly focussing on school this year. “It was a really good weekend. I wasn’t always super happy with my runs, but I just love racing with the younger paddlers and see their confidence build over the weekend,” Tonkin said. Racing continued on Sunday at the Goulburn River at Back Eildon Road with the Junior National Championships A and B-finals (one run) as well as the Team Events (report to follow). The event featured last year’s Paddle Australia national junior team representatives as well as the country’s top under-18 paddlers who are aspiring to be part of Paddle Australia’s National Development Squad (NDS) and to represent Australia in the Olympic canoe slalom men’s and women’s kayak and canoe events at this year’s ICF Canoe Slalom Junior World Championships in Poland in July. 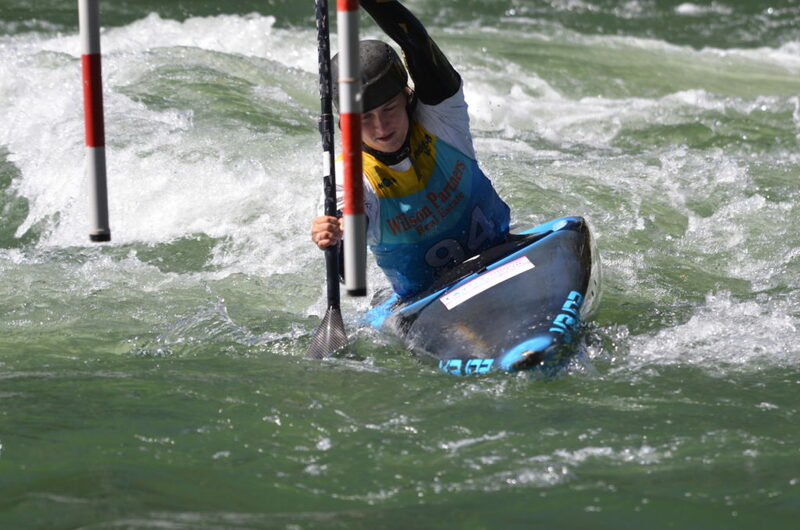 The national championships also decided the national titles in the over 35-age groups with no age limit in the sport of whitewater paddling. 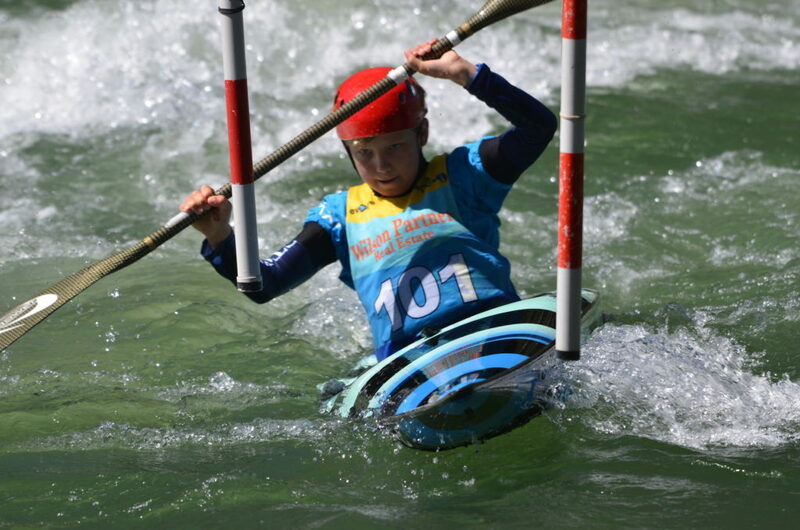 The 2019 Canoe Slalom Junior and Masters National Championships were jointly organised by Paddle Victoria in partnership with Paddle Australia and are supported by the Victorian Government through the Significant Sporting Events Program.